Above: Murray Conrad is the lead pilot for World Balloon Company. Photographs by John McCauley. Murray Conrad, lead pilot for the 43-year-old World Balloon Company, recently took two New Mexico Magazine staffers on a ride over ABQ, where they quizzed him about the Albuquerque International Balloon Fiesta, October 6–14 (balloonfiesta.com). 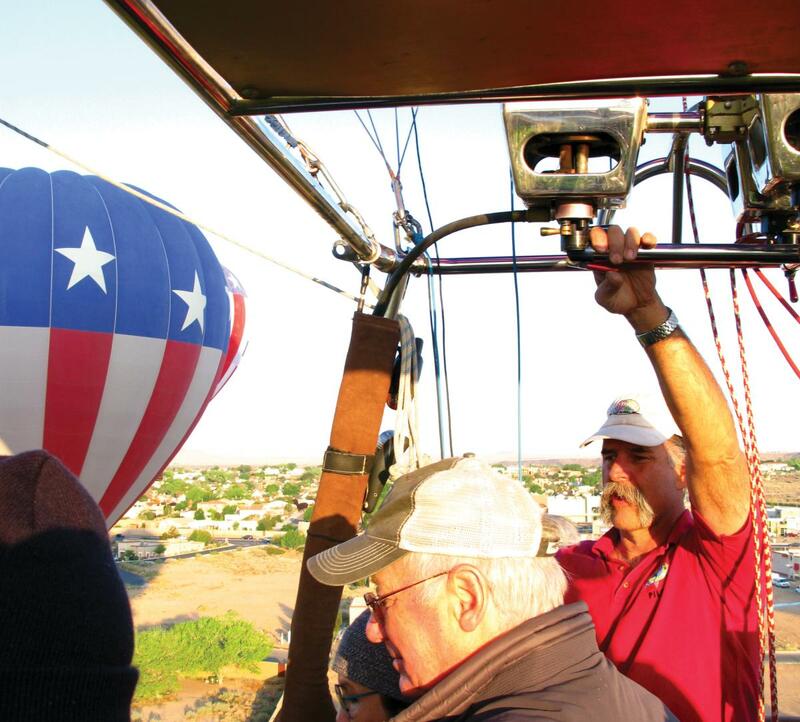 Why does everybody want to fly hot-air balloons in Albuquerque in October? Flying during Balloon Fiesta is such a beautiful sight—and October’s weather is perfect. Mornings are nice and cool, so you get the lift you need, then the sun comes up and the “Albuquerque Box” is really in effect, so you can fly all over and land in the same place. How did you get into ballooning? We got our first balloon in 1998 when this guy who owned a pawnshop gave us an old one. So, how&apos;d it go with a hand-me-down balloon? It was old when we got it, but we flew it until it didn’t pass the annual FAA inspection. So we didn’t have anything to fly for the 2002 Balloon Fiesta, and we were devastated, but a local dealer let us take one for a test drive. I flew it onto the field, grabbed a $2,000 prize from a pole, and went straight over and handed it to him. Above: Sure beats herding armed cats. Murray Conrad (with a mustache one could hold on to) pulls the accelerator. When did piloting go from a hobby to a job? 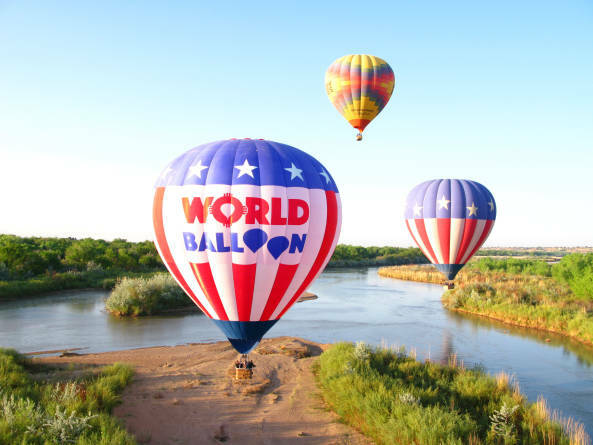 I was getting ready to retire as a commander in the Albuquerque Police Department, and the guy who was the lead pilot for World Balloon called me and said, “Hey, I’ve got a brand-new balloon and no one to fly it. Why don’t you come out?” I loved it. What’s so great about flying? I worked with criminals for 23 years and it was like herding cats—cats with guns. So this is such a joy.